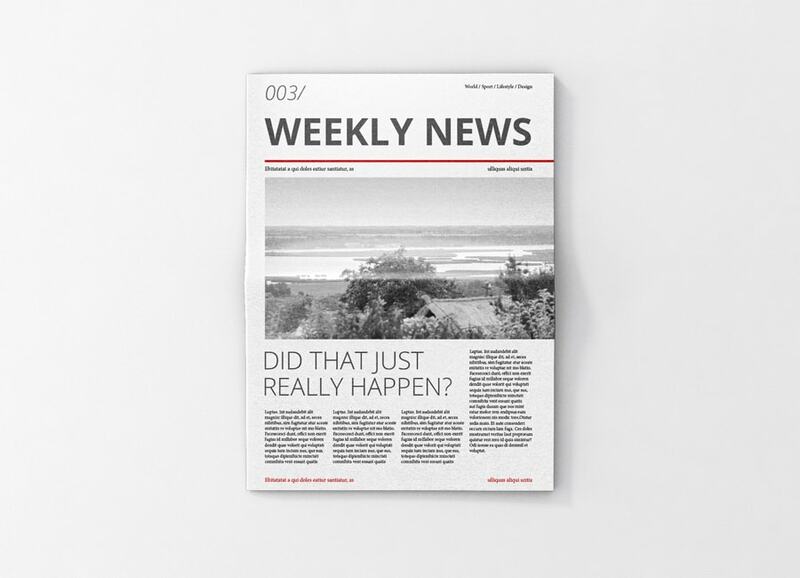 We’ve catalogued the best PSD newspaper mockups available for free online that let you showcase design ideas using Photoshop. 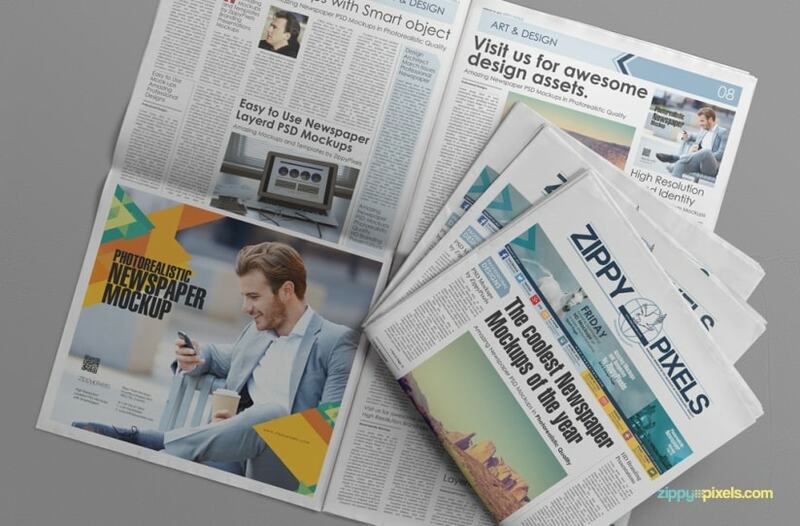 These great PSD newspaper mockups are quick to download, easy to edit and best of all, free. Simply head into Photoshop, navigate to the layers panel then double click the smart object. 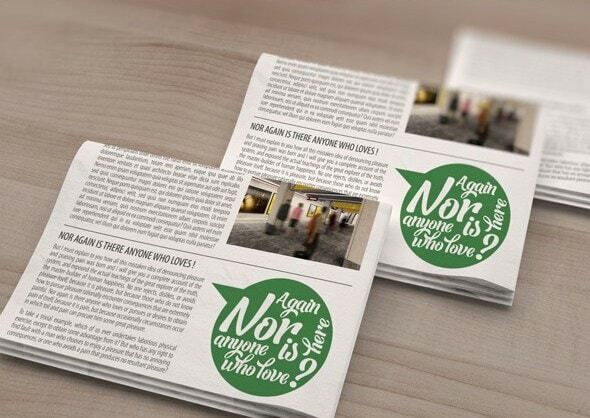 There, you can copy and paste your newspaper or advert design onto the artboard before hitting save to render a stunning, realistic mockup. You might also want to check out our lists of the best free hoodie, t-shirt, vinyl and poster PSD mockups. High Quality 1900x1370px, fully customizable, easily editable via smart object, separate shadow layer and moveable object, changeable background with craft paper texture included. A high resolution, HD mockup, with interchangeable perspective and wood backgrounds. Easy to edit via a smart object in Photoshop’s layers panel – simply copy and paste your design into it, then hit save. 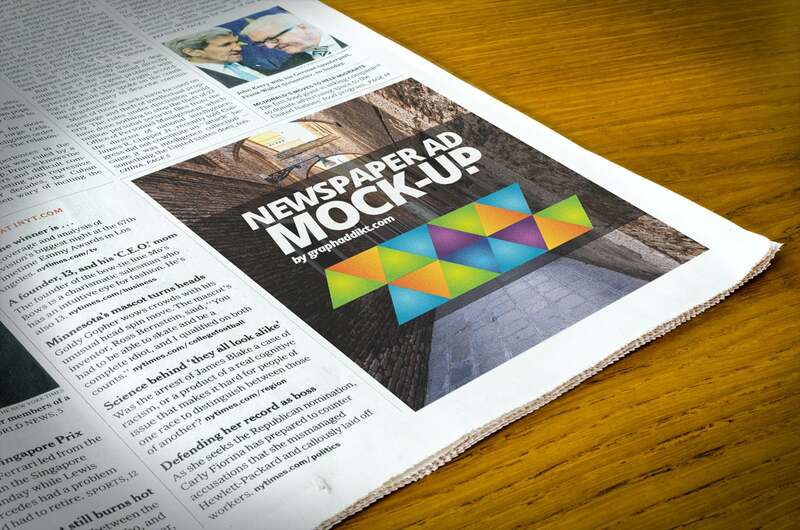 A free PSD mockup that lets you showcase any vertical, newpaper advert design quickly and easily. Available in 72 dpi (1920 x 1272 px) and 300 dpi (4928 x 3264 px). 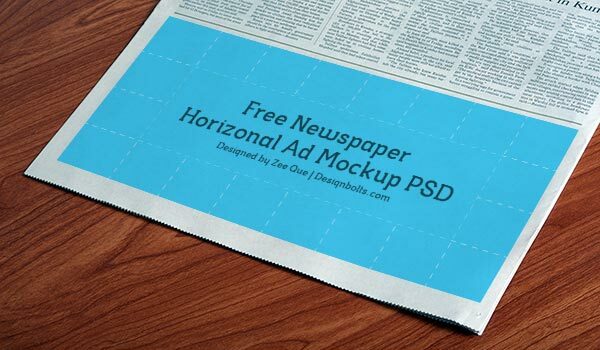 This free horizontal newspaper ad mockup template is easy to edit in Photoshop and free for personal and commercial use.